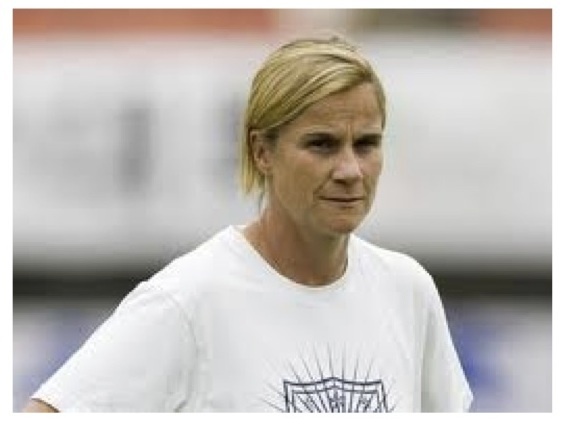 Jill has extensive experience in the U.S. Women’s National Team programs, having served as an assistant coach under Pia Sundhage helping the U.S. Women’s National Team to a Gold Medal at the 2008 and recently the 2012 Olympics in London. Jill has served two stints as head coach of the U.S. Under-20 Women’s National Team, guiding the squad to the CONCACAF title in 2010 and to the FIFA U-20 Women’s World Cup in Germany. She also has been Head Coach for UCLA (University of California Los Angeles) Women’s Program but took a full time role with the USSF in 2011 as Women’s Development Director. Jill holds a USSF A license. 1/What is your Role at US Soccer? I oversee the U14, U15, and U17 Women’s Youth National teams’ programs, the Scouting Network, and our Training Center program. Simplified, I am working with my counter part April Heinrichs to provide direction and assistance to the women’s youth national team players, coaches, and their environments. 2/ How has your experience working with Pia Sundhage been? Pia is fantastic to work with. Most of our time on the road is off the field, so working with someone who loves to laugh and is eternally optimistic is a real joy. She is incredibly inclusive with her staff and that really does create an environment that is very collegial. I have enjoyed talking soccer and life with Pia and I will miss her. 3/ As a youth coach at national team level what kind of characteristics in a player are you looking for? The demands of the international game really dictate what players need to be able to do to perform for a National Team. A high degree of technical proficiency is optimum, even at the U14 age group in camp, the more comfortable a player is on the ball the easier it is to execute in a faster environment. I think a player’s mental makeup is another important attribute. They are playing against the other top players in their age, so bringing a confident and competitive attitude to training is an important piece. Tactics will be taught in training camps, but those players who watch soccer regularly definitely show a quicker learning curve to absorb information. 4/ Do you think the standard of players being produced in US is getting better? I do, but we must continue to push higher. We will only be able to play at the top level if our club coaches believe they are an integral part of the process and also continue to evolve. There are some very skillful players out there and more and more our top young players are watching the game so we are seeing some very sophisticated players in our programs. The truly special players need a club coach who has a specific plan for that player’s development. Typically our most technical players are our smaller players, well now the challenge is to have our most athletic players be as technical so we can be a nation that has it all. 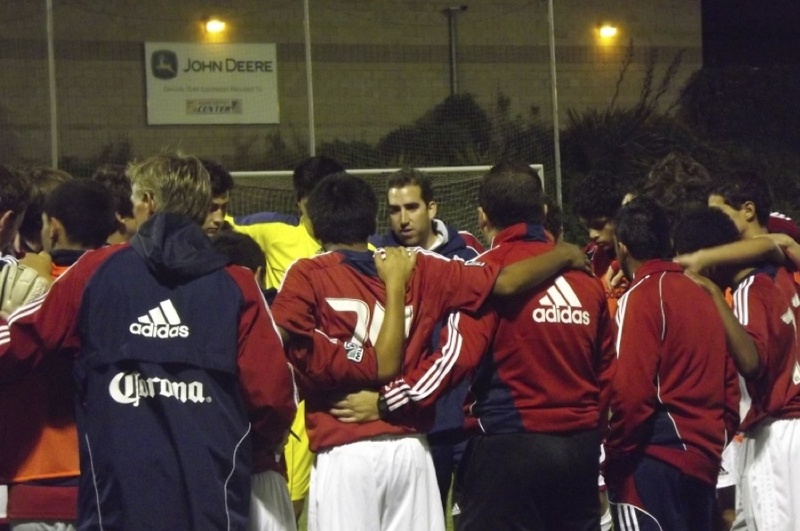 5/ Do you think the standard of youth coaching is getting better? In this new role I have been fortunate to meet and interact with many coaches in the club system and yes there are some quality coaches out there. In hiring for the U17 and U15 Head Coaches in this last cycle it was how Albertin and Damon’s teams played that I was initially drawn to. Yes, they have been successful, but they emphasized technical development and their teams like to build and possess. I would definitely challenge the club coach to revisit their training environment – as coaches we all get comfortable with the drills we know, but the practices we ran with a team 5 years ago might be beneath the current players we have. 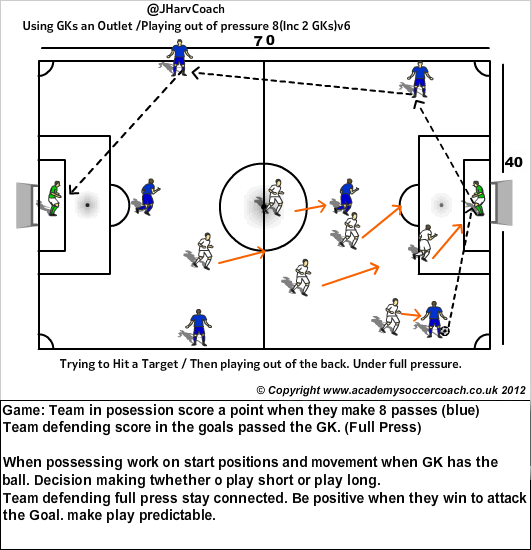 Instead of simply possession in a grid for our high school age players, now let’s add direction and positions. Can we do more functional work with the players? Instead of one drill to fit everyone maybe tonight we focus on our wide players and we put them in learning situations they will see in the game. 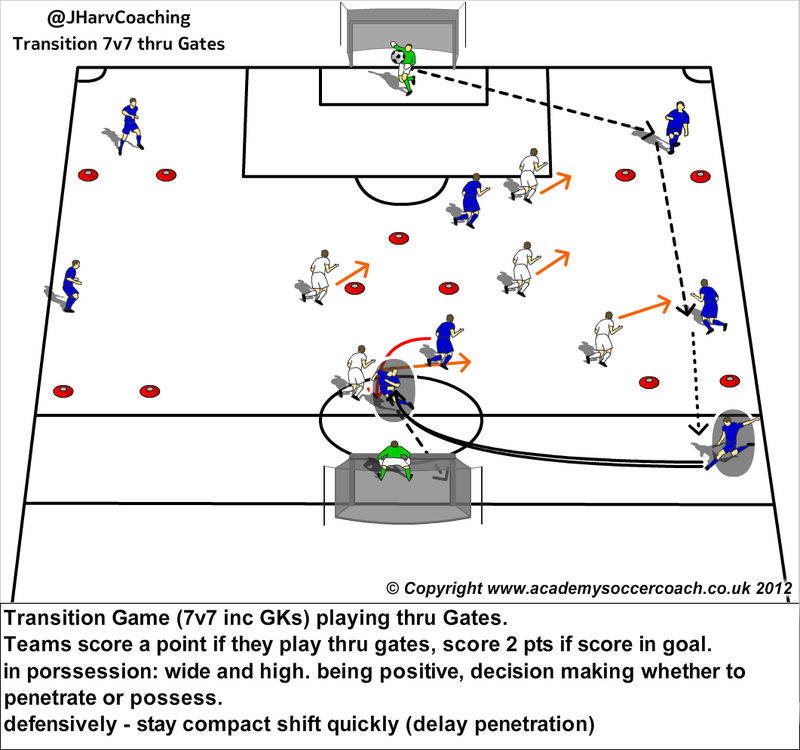 I know its a long answer, but the same weaknesses the club coaches identify in their game exist at the YNT – so let’s start to address them…crossing, finishing, driven balls etc. 6/ Do you think the new USSF Curriculum will take US Soccer to the next level? The new curriculum definitely has information that is both valuable and practical, but, ultimately it will come down to the coaches of our younger players who are out on the practice fields and sidelines being able to take the recommendations and utilize them. Claudio Reyna spent a lot of time traveling Europe to look at what the rest of the world is doing so the information is current and relevant to both boys and girls. 7/ How was the Olympic Experience in London. London was great, Wembley even better. It was fun to finish in London and stay in the Village with all the other nations and truly get immersed in the Olympic spirit. I grew up in England and watched games at Wembley on tv, so to get to experience that was amazing. 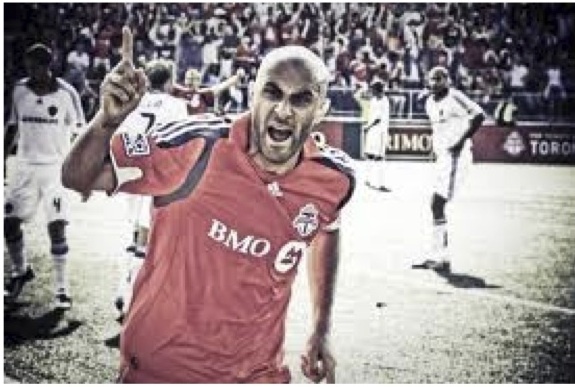 1/ what is your role at Toronto FC? 2/ what is your philosophy as a coach? 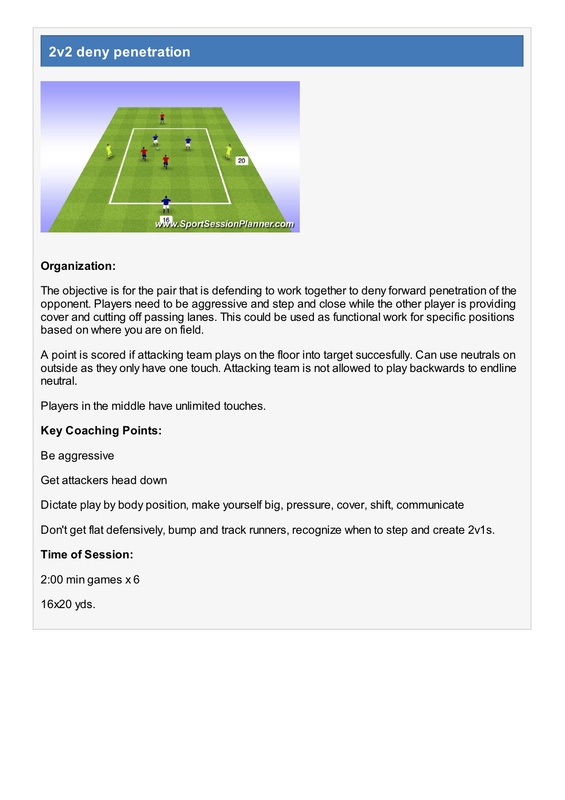 My philosophy is to play an attacking style of football with lots of interchanging from the players. I like to play out of 4-3-3 system, so we have to teach players how to improve technically first, before we can even start talking tactically. 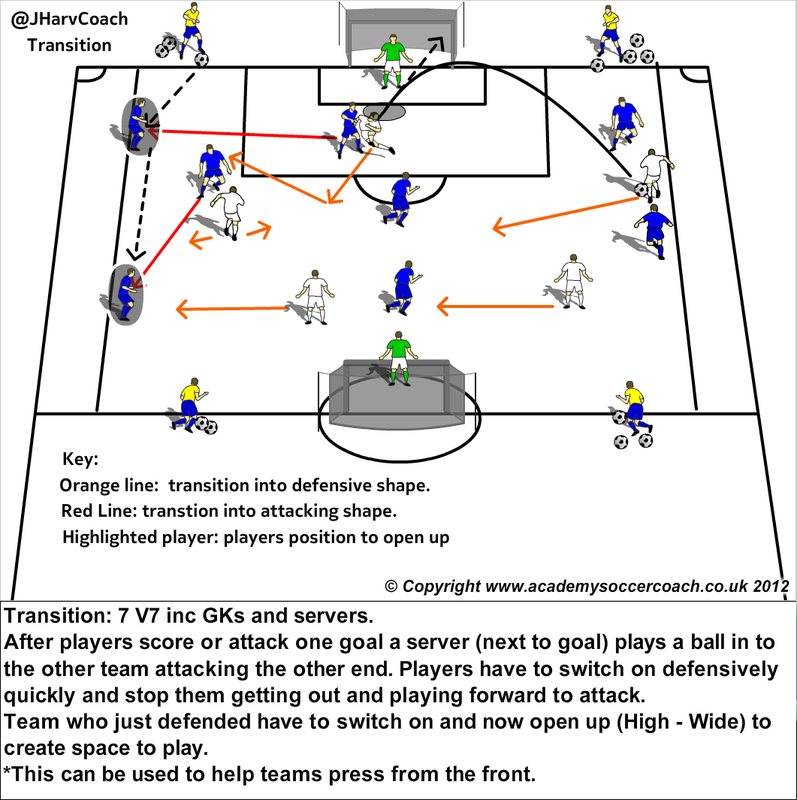 In this system, if you do not have players that are comfortable on the ball, then you are going to be defending a lot or getting scored on a lot, as your team is so stretched to try & create space to play. 3/ Do you think the level of players in the US and Canada is improving? Dramatically so! In the US, you can see at a senior level how many players are playing abroad(Europe especially), that this has increased the standard. This due to the money the US soccer federation invested with Nike into their Youth programs a few years back. Here in Toronto, we have a different scenario bubbling up. We have a very eclectic array of nationalities living here now & they are from all prominent football countries. England, Italy, Portugal, brazil, Jamaica, Africa, Caribbean, these are just a few of the places where these kids are from or their parents have originated, so that meaning that football is in their culture already, which is a massive plus! 4/ What is the main difference between Canadian/US soccer than English football? 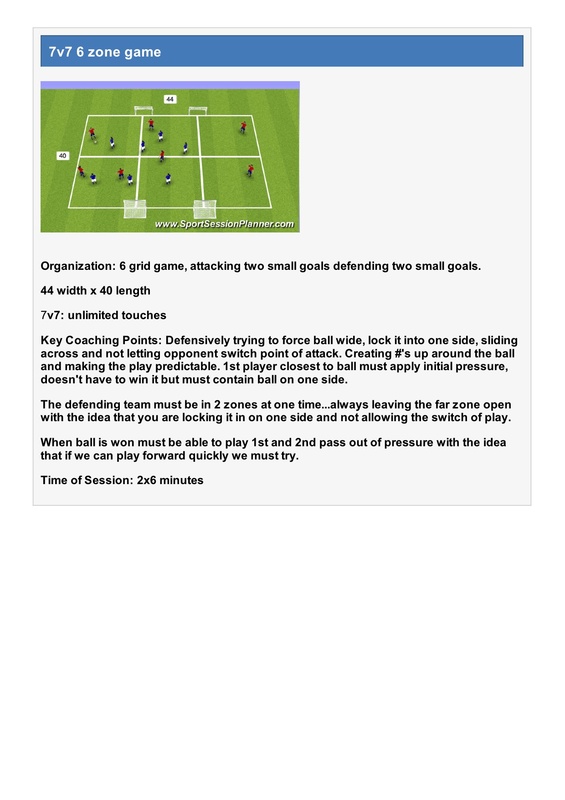 Players and Coaches? I think the main difference is the Media & how much it is in everyone’s face in England constantly. Its our #1 sport in the UK compared to here in North America where we have 4 or 5 other sports to compete with. The coaching is getting a lot better here too. The major problem here in Canada is the Facilities, fields(lack of), + money being put back into the development of coaches & players. 5/ The USSF has implemented a new curriculum. Has Canadian soccer done a similar thing. No. Canada is miles behind the USSSF in those kind of programs. They have people here who want to implement them, but the people who make the decisions are not the right people who want to move football on in this country. 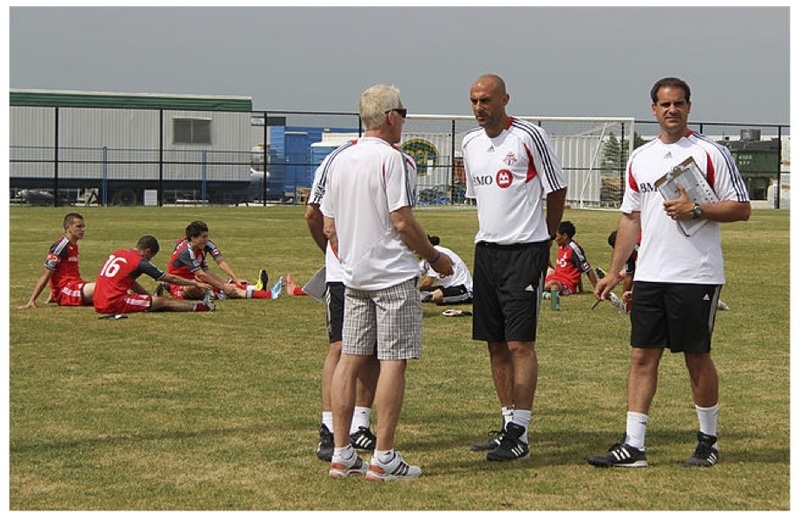 6/ Do you think Academy soccer in Canada/US is at a similar level to European academies? Its probably getting there, but I would not say its level yet. The Academies at the Pro clubs in England is very serious(even here at TFC) & you have to consistently perform to want to be a part of it. Other Academies I see in North America where the kids are paying are a little bit different as I feel the Parents still have too much of a say in what the kid is doing. 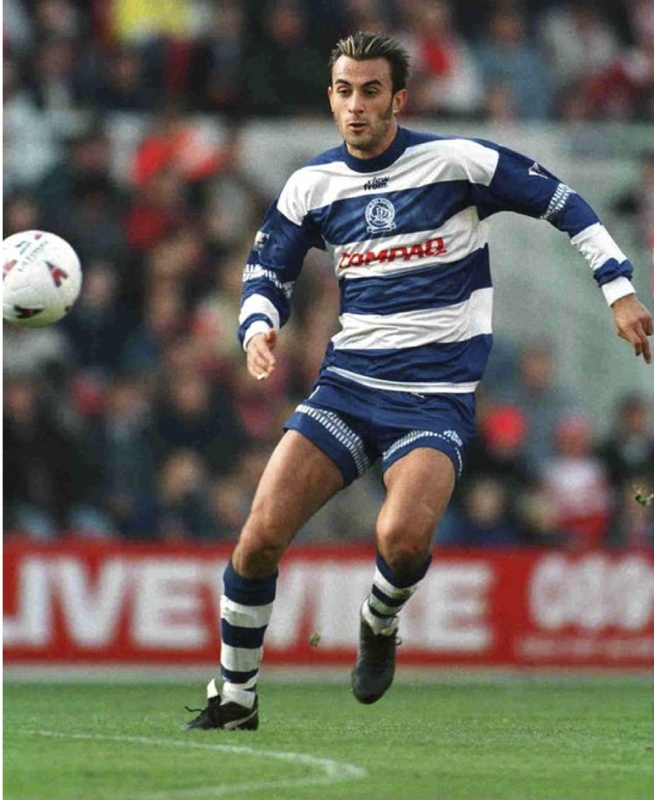 7/ Do you ever get back to watch QPR now they are back in the Premier League. I am going back at Christmas to spend some time at Chelsea, Arsenal & QPR to watch training session etc. So I am sure I will catch a game at Loftus Road then. I had the privilege to ask Dawn Scott a few questions on her role with the US women’s National Team. Dawn is originally from England and has worked for the FA. She moved Stateside to start work with the US Women’s National (WNT) in 2010. Before this the WNT didn’t have a fitness trainer and Dawn was recruited to take the teams fitness levels to the next level. The women’s team got to the final of the 2011 world cup and recently just won the Olympic gold in London. 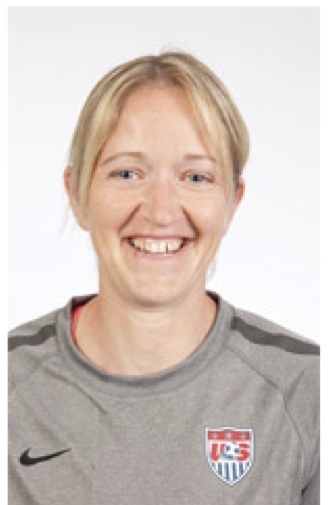 Dawn has been a key lecturer on a variety of FA courses including The FA Fitness Trainers Award, UEFA A Licence, International Licence, Youth Coaches, Pro Licence, Diploma courses, as well as having run courses on behalf of CONCACAF in Trinidad and Tobago. 1/ What is your Role at US Soccer? My key role is with the Senior Women’s National Team. I have worked with the team since January 2010. My key role is the physical preparation and development of those players in camp, as well as when they are training on their own and/or with teams. This involves fitness testing, to determine the needs of individual players, monitoring the players during training and games through the use of GPS units and heart rate monitors, as well as the development of individual strength and conditioning programs. I also deliver educational workshops with the players with regards recovery strategies, and nutritional/hydration needs. 2/ How important is it monitor a players fitness levels? 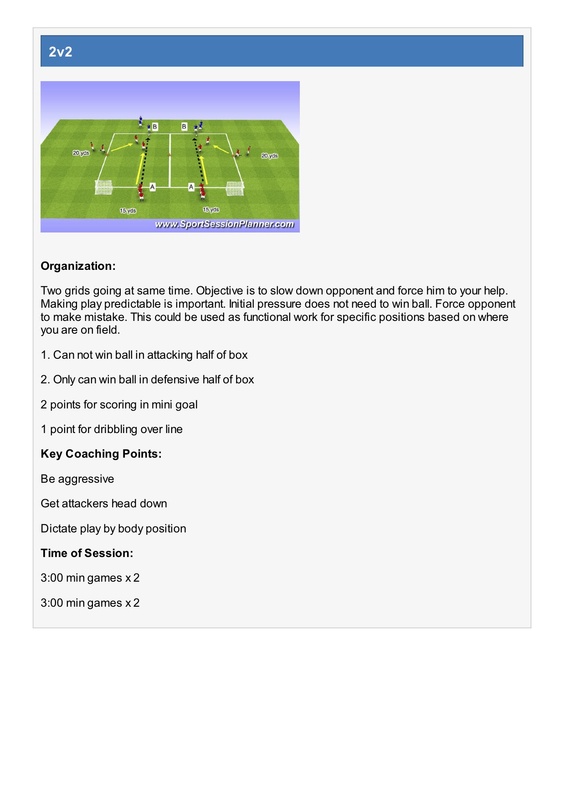 This is vital and should be a start point for developing any kind of conditioning program for a player. This can involve simple tests using a stop watch through to tests using speed timing gates or more complex equipment. The key thing is to make sure the conditions and equipment used for the test each time are the same to enable comparisons. Soccer involves many facets of fitness encompassing: strength, speed, power, speed enduration, agility, flexibility and aerobic endurance. Testing should reflect the physical demands of soccer and age and position-specific programs should then be planned to optimally develop players. 3/What are the best foods/drinks a player take to optimize performance? The key nutrient for training and game performance is carbohydrate to fuel the entire session/game. the key nutrient to aid muscle recovery is protein, so a player’s diet should have a good proportion of those nutrients. Other nutrients such as vitamin C, B12, D and iron are also vital for elite female athlets. 4/ What is the best post – match snack/meal a player can take? This should contain a combination of carbohydrate and protein. So either some kind of smoothie/sports drink immediately post game or Peanut Butter Jelly (Jam) sandwich. Then as soon as a player can consume some kind of meat (lean chicken/turkey, fish or red meat) along with some white pasta/spaghetti/bread. Replacing fluid, and sodium, lost through sweat during the game is important also. As a guide players should weigh themselves (minimal clothing) pre and post game, and then should aim to replace 1.5 times the amount of weight lost through water/sports drink. 5/ Does a players diet differ if they are a youth or pro player? Yes and no. the key nutrients are still vital, young players should also focus on consuming a good amount of calcium since they are still growing. Energy intake will differ, since the training volume/intensity for pro players will tend to be higher, therefore they will have a greater energy requirement. Also there will be a need for pro players to taper/control their nutritional intakes during certain phases of the season, depending on their main aim of training. Here is a video of Dawn hard at work with the US Womens national preparing for the 2011 Women’s World Cup.